I used to go lake fishing in Ireland at uncles place. I was from the UK - only knew how to bait fish with worms. Caught numerous to 3 1/2 lb and we ate them...better than trout! Recently I've been out perch fishing at Hamilton Lake with a mate who has pancreatic cancer. Spinning is great for him as he can have a fish and sit down on the benches for a rest. We have caught lots on a mix of lures: Rapalas, veltics, black toby and Storm soft plastics. I clip off the underside trebles and catch them on the in-body top hook. The trout colours work well but the rainbow seems better. We haven't caught any big ones but we do find it very relaxing and my mate loves it - very therapeutic, indeed. We get loads of people stopping to chat and ask lots of questions. Loads of Pokemon hunters at the moment!! Wanda Ra went to the spot you recomended at atiamuri,there were dead eels laying on the clear bottom.I made a few enquires fro the locals,appears that the owners of the power stations do regular spraying in the dams to kill the weed, looks like it kills everything.this country is ruined by the multi national companys in the name of profit.I wish a political party would draw the line. I would contact the regional Council about this and talk to the environment officer they would have to have a resource consent to do such spraying . Why, is there a problem ? anyboby can get a resource consent in this county .Its all about profit and poisoning is the cheapest method . A pb from Hamilton Lake, today. Great pics! Well done with your PB. I followed your advice and rang enviroment waikato.they have issued resource consents for all hydro dams to control oxygen and other weed which can cause obstructions to the control gates. 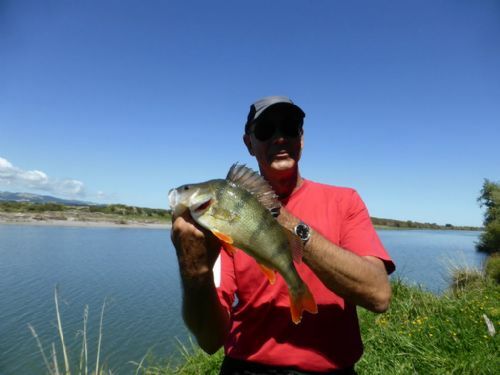 I just had a very nice fishing for perch in the Ruamahanga - fish up to almost 1 kg. Not bad for me being used to much smaller perch in Switzerland. I am in the lake Tekapo area at the moment and head back to the north island mid April. Would it be possible to fish with you the Okaha river and the Halswell river once on the way back? Would be great. Fishing is not a matter of life and death, it is much more important. 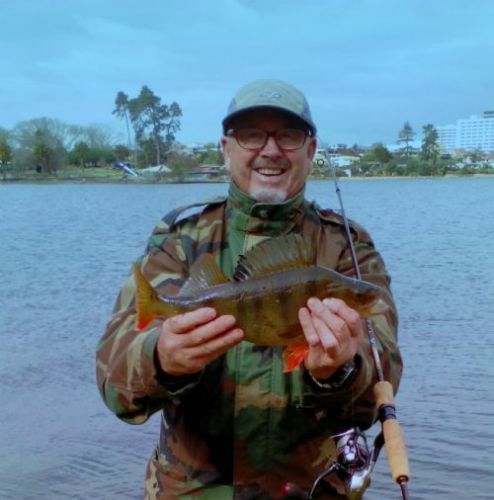 Plenty of nice perch in the Ruamahunga! Thanks. No ugly duckling online for three years. Sad. But I am happy with any help from Kiwi perch enthousiast. We just had a very good Thai curry with the Ruamanga perch out of the motorhomes freezer. 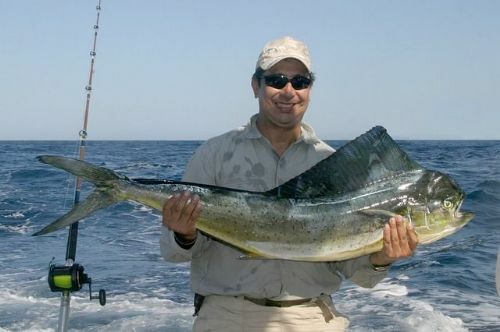 It's a pitty that not many Kiwis appreciate that good fish out of good waters. Like the Rotsee in Switzerland. To get real big ones there is quite difficult, but the small ones are a delicacy too and cost a lot in a Swiss restaurant. We are heading to lake Dunsten near Cromwell the next few days. Let me know if you are in the ruamahunga area again and I will see if I can get out for a fish with you, I have always enjoyed catching perch, that's what I grew up catching in Australia.